For online purchase, please refer to below step by step instruction listed at section (A). 2. 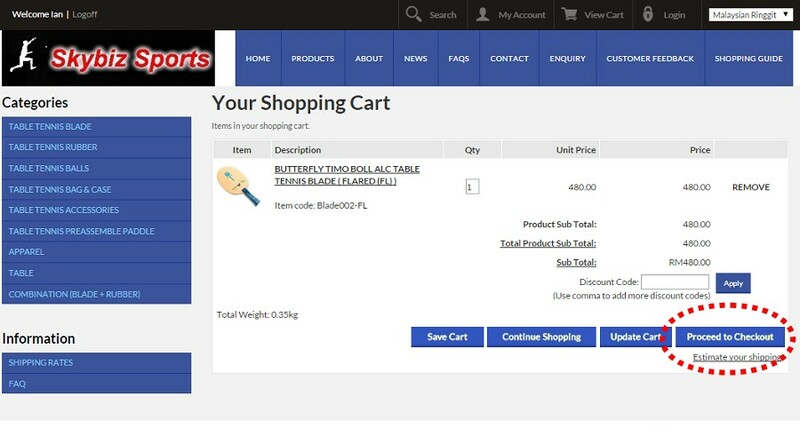 For oversea buyer, please select USD or Euro currency before placing order, you can perform order step by step as shown at section (B) or request invoice billing to you at admin@skybizsports.com. Shipping fees is about USD 12 for USA/Canada, USD 15 for Europe/Australia and USD 17 for South America zone. All shipment via Fedex/UPS Express, delivery in 3~5 working days depends on location. * Although FedDx served most of the major city in the world, but there are some cities which are located outskirt may not served by Fedex (mostly happen in region like South America and Eastern Europe (example: Brazil, Kazakhstan, Romania...). If this situation happen, buyer can provide alternative address or we refund money to buyer. ** For Russia buyer, effective Feb'2014, Russia custom do not allow individual to receive courier item, therefore we can't ship to Russia by courier service. 1) Browse all our products selection and view the product details. Have a specific product in mind? Try use search to locate the item. 2) Found the product you’ve been looking for? Click on the “Add to Cart” button and this item will be automatically added to your shopping cart. Click "View Cart" to proceed for payment. 3) Ready to checkout? Check the product description, quantity and price. You can change the quantity and click on the “Update Cart” button. If you want to remove the product, click on “remove” button. Proceed by clicking on the “Proceed to Checkout” button. Payment method options for local purchase : Direct Bank In, Paypal or eGHL Payment. 4) If you have already registered with the online store, you can just sign in by providing your email and password. If not, you can create an account now by proceeding into checkout. 5) Provide your personal information and select direct bank-in payment option. 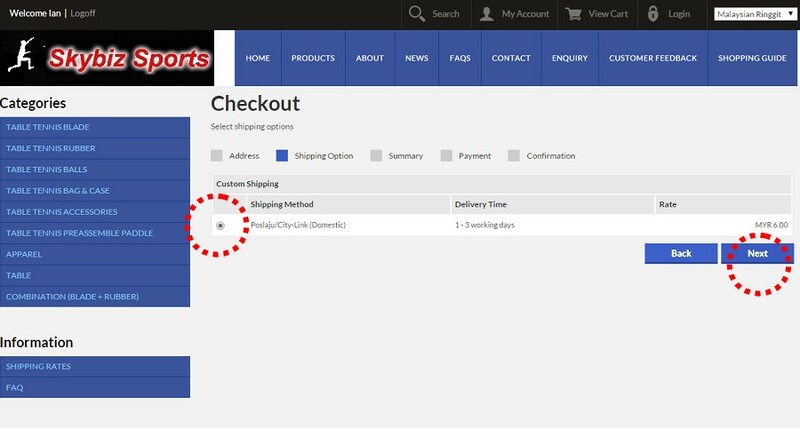 6) Then, choose the shipping method available for you by the store. Click on “Next” button and you will arrive at Summary page. 7) Check your billing and shipping address as well as products details (quantity, total price, etc.). If you want to change some details click on the “Back” button and make modification. 10) Please note that you will receive an email regarding your order. You also can check for your order by log in to your account and view the order history. It is easy and secure to shop online with us. Have a nice shopping experience! Proceed by clicking on the “Checkout” button. 5) First step, you must provide the personal information and select your preferred payment option. For example, Paypal. 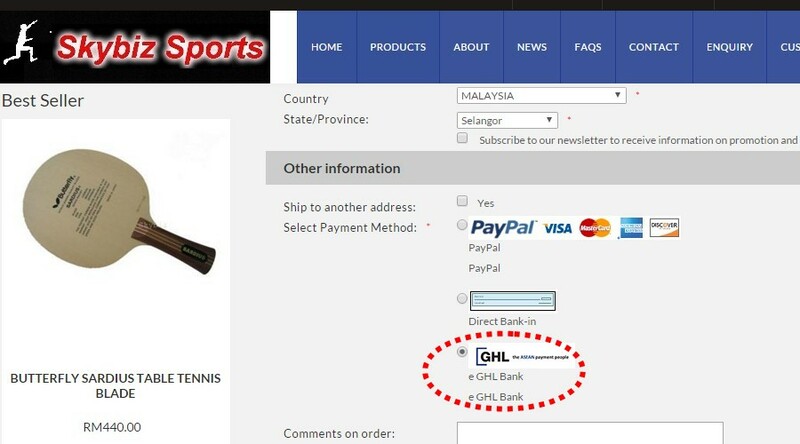 8) The payment methods available for oversea buyer is Paypal and eGHL payment gateway. You are able to use your credit card if you choose eGHL payment method. 9) If you choose Paypal, you will be directed to Paypal payment page. Provide the details needed and click on the “Review order and Continue” or if you do not have Paypal account, you can choose to “Don't have a PayPal account” to make payment. Done!